Mitt Romney offers a final message to voters in a one-minute TV ad alternately featuring an uplifting tone focused on the economy and also insisting that President Obama has failed on that issue. "With the right leadership, America is coming roaring back," Romney says in the ad. The TV spot uses highlights of Romney's Friday night rally to an enthusiastic crowd of 25,000 people in West Chester, Ohio, where the Republican candidate honed in on his closing pitch. "My conviction that better days are ahead is not based on promises and hollow rhetoric but on solid plans and proven results," Romney says in the ad. "He's offering excuses. I've got a plan. I can't wait for us to get started," Romney says, referring to President Obama. "He's hoping we'll settle. Americans don't settle. We build. We aspire." Offering a final plea for supporters to vote, Romney says, "And I know we can't lose on Tuesday. ... I need your help." 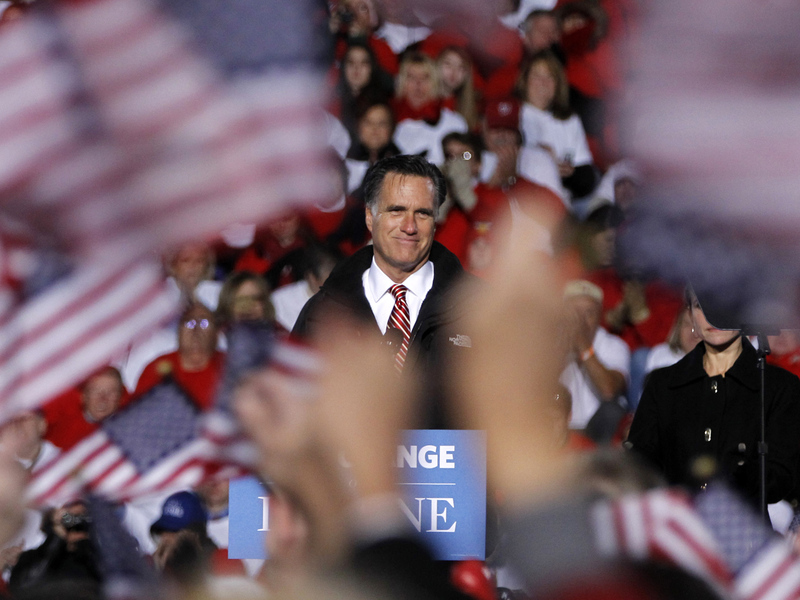 The Romney campaign has not released the size of the ad buy or said where it will be airing.